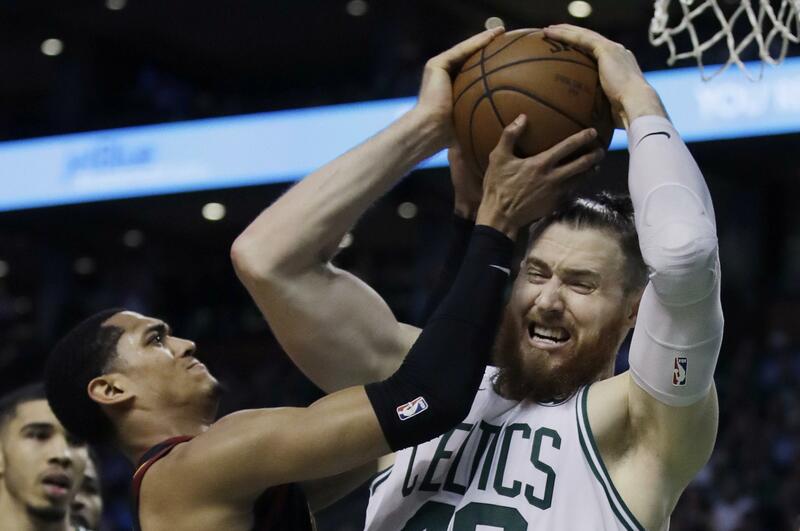 UPDATED: Sun., July 1, 2018, 6:40 p.m.
A person familiar with the negotiations says Baynes has agreed to a two-year deal worth $11 million. The person spoke to the Associated Press on condition of anonymity because the deal has not been finalized. The second year is at Baynes’ option, meaning he could be a free agent again next summer. Baynes had 19 double-figure scoring games last season for Boston, including playoffs – and the Celtics went 17-2 in those games. The 6-foot-10 center out of Washington State averaged 6.0 points and 5.4 rebounds last season. Published: July 1, 2018, 6:03 p.m. Updated: July 1, 2018, 6:40 p.m.